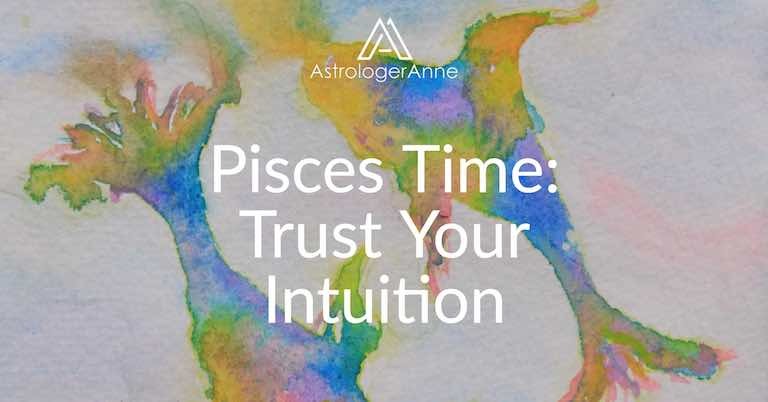 Pisces time brings the time of year that’s good for learning about compassion and intuition. The Sun leaves Aquarius and enters Pisces around February 20 each year. This shift brings all of us new opportunities to focus on our spiritual lives and explore the hidden world of dreams, intuition, and imagination. When the Sun travels through Pisces each year, it brings a dreamy, changeable energy that draws us inward. We move away from Aquarius’s airy detachment to the Fish’s watery world of feelings and intuition. 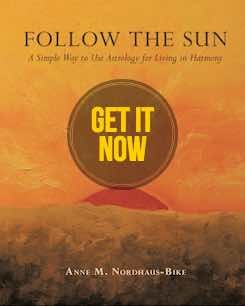 During the Sun’s journey here, we have opportunities to feel deeply, cultivate compassion for others, and choose how we can be of service in the world. Pisces’s sensitivity allows us to empathize with others, especially those who are ill, wounded, or confined in some way. This experience can teach us compassion and stimulate our desire to improve the world so that no one suffers needlessly. It also teaches us the wisdom of boundaries: although we may feel sympathy or even literally feel another’s pain, we must not take on tasks that others can and must do for themselves. Reflecting mentally on our feelings and meditating about our desire to help others enables us to make good choices in how—and how much—to serve others. Pisces also is linked with the arts because its watery nature gives it ready access to states of consciousness beyond everyday material reality. Those states may include dreams, the subconscious, and even psychic or mystical experiences. All of these can deepen imagination and often result in art with an intuitive, otherworldly quality. Pisces feels a special attraction to photography, film, poetry, painting, music, and dance, making this a wonderful time to express ourselves in these media or try a new creative hobby of any kind. Let your intuition guide you to what feels right. Pisces is ruled by Neptune, a bright blue planet named for the Roman god of the sea. Neptune reinforces Pisces’s association with water, a substance that long has symbolized emotions as well as consciousness. This planet also points to Pisces’s preoccupation with hidden realms and spirituality: just as an ocean’s surface hides most of what goes on in the sea, our physical bodies hide our true, spiritual selves. As the last sign of the zodiac, Pisces rules the feet, the base of the human body. This suggests a need for dreamy Pisces to keep its feet on the ground; it also implies that this sign’s spirituality and sensitivity are key to our foundation in life, on every plane of consciousness. Pisces is associated with water-loving plants such as moss, water lilies, and willows and with sea creatures such as dolphins and fish. Its symbol consists of two fish bound together but facing opposite directions, a visual image of the human soul and body, yoked together and often in conflict. With Pisces, one fish tends to want to drift downstream with life’s random currents, while the other wants to swim upstream by meeting life’s challenges in order to make spiritual progress. We can make the most of Pisces time each year by doing our best to allow the “spiritual fish” within us lead the way. During each year’s Pisces time, we feel strong impulses to pay attention to our intuition and experience what lies beyond material reality. Each astrological sign is associated with a phrase, and for Pisces that phrase is “I believe.” At its best, this energy manifests as a powerful belief in the truth of the unseen, in the power of dreams and higher consciousness, and in the value of unity on all planes of existence. Now is the time to open yourself to your inner, spiritual life. You already have gifts of intuition and psychic connection with all life; as you accept, develop, and apply these gifts, you will be able to transcend obstacles and extend compassionate assistance to others. If you will take up this task, you will come to know why Pisces’s ruler, Neptune, the mythical god who rules the vast oceans, often is called the Great Dissolver. Tune in even more to the Pisces zodiac sign with the Pisces Meditation.